The group’s name was City High and I’m sure everyone and their mothers sang along with them as they told the story of the inner city struggle and how to make a change. The beautiful female songstress of the group’s name was Claudette Ortiz. 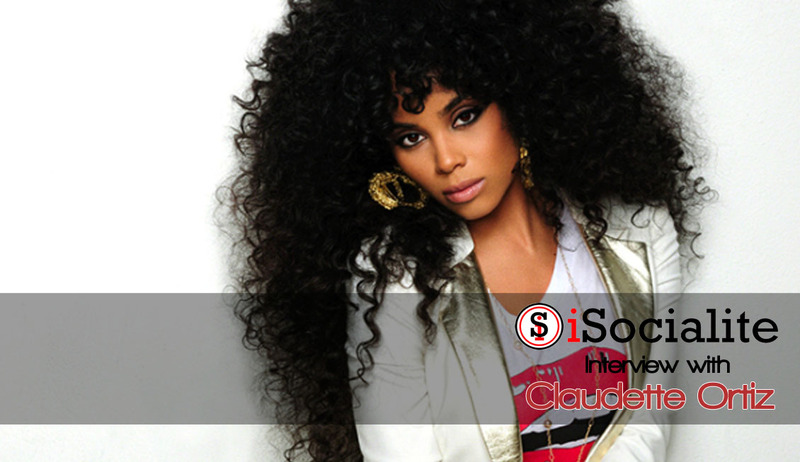 You should be familiar with her international duet with Wyclef Jean “Two Wrongs”. After a hiatus from the limelight, she is making her way back in the industry. She is currently the star of the TV One hit spin off of R&B Divas, R&B Divas: LA. While the Twitter world is buzzing around her beauty, there’s a few things you should get to know. I got the opportunity to speak with Ms. Ortiz about her role in City High, filming with the cast of “R&B Divas” and being a positive role model for her three beautiful children. Check it out below! Me: Let's rewind a few years back, you were part of one of the most versatile groups in hip-hop during the time, what was that success like? Claudette: I was unaware of the success. Being that we were on the road so much, I didn't know how successful we were. I just knew the crowd was getting bigger and people wanted more pictures. Things were crazy. We were on shows like Jay Leno and Dave Lettermen. I was really unaware of how successful we were and I was so young. Me: Then you did the solo project, most memorable for your duet with Wyclef and “Can’t Get Enough”. What was the difference between your work with City High and being a solo songstress? Claudette: There was a huge difference for different reasons. With my situation, on a positive note, you have the support of another member on stage. On the other side of things, you don't have to worry about if someone doesn't show up. You're in control of things. There’s no creative difference amongst you and other members because you are working by yourself. Me: Speaking of Wyclef, How is your relationship with him today? Claudette: We're still cool. He still finds time to call me with his busy schedule. I appreciate his friendship and guidance. Me: So with all that being said, how has those previous experience shaped you as an artist today? Claudette: The experience affected me in a positive way. I have grown a lot. Back then, there were other people involved. This album is going to be focused on me and my experiences; my heart and soul. I've experienced a lot in my life and the industry. You'll hear a huge difference in the voice and in the sound. Entertainment side of things does not necessarily change who I am. It just changes how I work in a business side. Life experiences shape me into the person I am today. Me: Tell us about the debut album. I heard you got to work with some big names? Claudette: I have the same basis as in waiting to have something to say. I want to produce music with substance. However, it won't be too heavy. I want to lift up people. I don’t want people to struggle to listen to it. It’ll have acoustic strings, hiphop drums, be very melodic and you’ll hear some “sangin” lol. Me: What is on your iPod now? Claudette: I love Emeli Sande, Miguel, Stevie wonder, Bjork, hiphop, Coldplay, Bob Marley, Cee-Lo. I'm a music head. I love listening to music and thinking “Where did this person pull this from” (Side note: She and I spent a good four minutes talking about what type of music we both enjoyed and we have similar tastes. It must be a TriState thing). Me: You're also going to be on the show R&B divas: LA. How did you get involved with that? Claudette: The opportunity fell on my lap. I was going through something internally, trying to figure out if I should continue to do music or just give it up and I asked God to send me a sign. I prayed that He would send me a sign. Later that night, I received a text out of nowhere. That was my sign and I knew I had to do it. Me: What is it like to be on set with women like Kelly Price, Chante Moore, And Lil Mo, who were all big names when you were starting out with City High? Claudette: Amazing! Each and every one of these women are beautiful people. I learned a lot from them. Enjoy each one of their personalities. Me: How are you able to be in the studio, be on the show, and be a mother to 3? Claudette: Jesus! Without the support of my friends and family, there is no way. You need all the time in the world to be a career woman and to be a mother. It can be stressful and you lose some sleep but you do it. I have a great support system behind me. Be sure to look out for Claudette on this season of R&B Divas: LA!